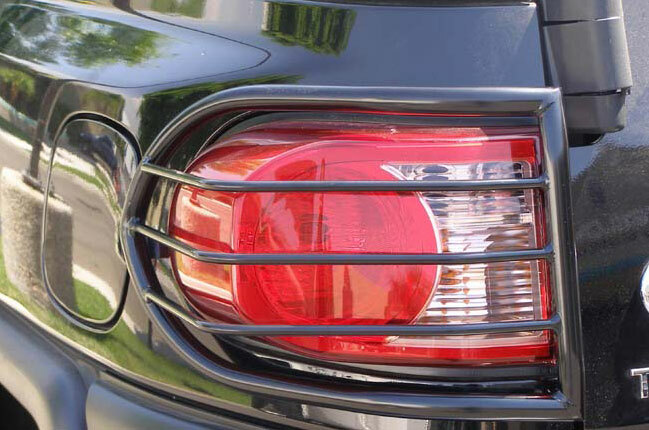 Black Tail Light Guards for 2007-2013 Toyota FJ Cruisers. High Quality Power Coated Finish, Perfect Fit / Bolt On pplication, Complete install instructions included for easy installation. This item comes complete with both left and right side tail light guards and all installation hardware. Installation is fast and easy. These guards offer great protection and styling for your new FJ. Each item is individually packed.